Custom Christmas ornaments are a great way to raise money or pay respects to your favorite church, organization, or business. Create an ornament in brass, pewter, or zinc, and you’ll create a memory that lasts forever. Small or large batches are welcome. 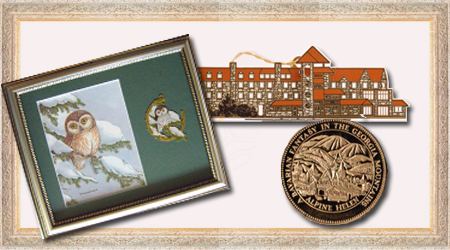 The Charleston Mint employs experienced and talented designers to help you reach the perfect look for your custom ornament. Start from a photo, logo, sketch, or just an idea, and we’ll guide you through the process of translating your chosen image to the metal of your choice. You can add color to accent or detail your ornament, or choose a classic metal finish that shows off the value and durability of your personalized creation. No matter what you choose, you’ll get an impressive high quality product. 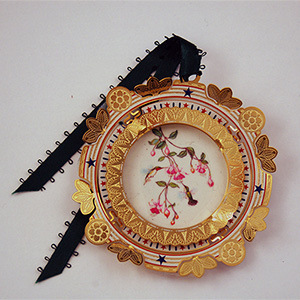 Our artisans won’t move forward with etching until you are fully satisfied with your ornament’s design. No gift is complete without the perfect packaging. That’s why The Charleston Mint offers several varieties of elegant packaging to go along with your gift. Present your ornament in a personalized box or permasuede folder, and make the perfect impression to impress. Contact us for packaging samples. 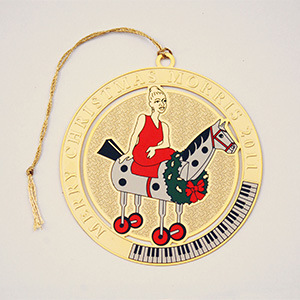 Make your organization part of the Christmas tradition with an elegant and luxurious ornament. Your personalized creation will be a perennial presence in the holidays, and will always remind your organization’s members that you care. The Charleston Mint has nearly forty years of experience, and is an official US Mint. Contact us for samples and detailed pricing. Allow 1-2 weeks for the design process and 4-6 weeks for production. Rush production may be available to meet deadlines.